Margot Benary-Isbert (December 2, 1889 – May 27, 1979) born Margot Isbert, was a German and later an American writer of children's books. Saarbrücken is the capital and largest city of the state of Saarland, Germany. Saarbrücken is Saarland's administrative, commercial and cultural centre and is next to the French border. Göttingen is a university city in Lower Saxony, Germany, the capital of the eponymous district. It is run through by River Leine. At the start of 2017, the population was 134,212. Santa Barbara is the county seat of Santa Barbara County in the U.S. state of California. Situated on a south-facing section of coastline, the longest such section on the West Coast of the United States, the city lies between the steeply rising Santa Ynez Mountains and the Pacific Ocean. 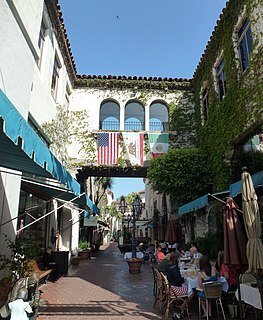 Santa Barbara's climate is often described as Mediterranean, and the city has been promoted as the "American Riviera". As of 2014, the city had an estimated population of 91,196, up from 88,410 in 2010, making it the second most populous city in the county after Santa Maria. The contiguous urban area, which includes the cities of Goleta and Carpinteria, along with the unincorporated regions of Isla Vista, Montecito, Mission Canyon, Hope Ranch, Summerland, and others, has an approximate population of 220,000. The population of the entire county in 2010 was 423,895. Most of Benary-Isbert's books were written and published originally in German; some were later translated into English and published again. 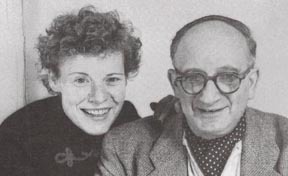 Margot Benary-Isbert died on May 27, 1979, in Santa Barbara. Her cousin was the German author and nonfiction writer Otto Albrecht Isbert(1901-1986). The New York Herald Tribune was a newspaper published between 1924 and 1966. It was created in 1924 when the New York Tribune acquired the New York Herald. It was widely regarded as a "writer's newspaper" and competed with The New York Times in the daily morning market. The paper won at least nine Pulitzer Prizes during its lifetime. The Jane Addams Children's Book Award is given annually to a children's book published the preceding year that advances the causes of peace and social equality. The awards have been presented annually since 1953. They were previously given jointly by the Women's International League for Peace and Freedom (WILPF) and the Jane Addams Peace Association, but are now presented solely by the Jane Addams Peace Association. The Women's International League for Peace and Freedom (WILPF) is a non-profit non-governmental organization working "to bring together women of different political views and philosophical and religious backgrounds determined to study and make known the causes of war and work for a permanent peace" and to unite women worldwide who oppose oppression and exploitation. WILPF has national sections in 37 countries. Louise Erdrich is an American author, writer of novels, poetry, and children's books featuring Native American characters and settings. She is an enrolled member of the Turtle Mountain Band of Chippewa Indians, a federally recognized tribe of the Anishinaabe. William Cuthbert Faulkner was an American writer and Nobel Prize laureate from Oxford, Mississippi. Faulkner wrote novels, short stories, screenplays, poetry, essays, and a play. He is primarily known for his novels and short stories set in the fictional Yoknapatawpha County, based on Lafayette County, Mississippi, where he spent most of his life. Margret Elizabeth Rey was a German-born American writer and illustrator, known best for the Curious George series of children's picture books that she and her husband H. A. Rey created from 1939 to 1966. Rosemary Sutcliff was an English novelist best known for children's books, especially historical fiction and retellings of myths and legends. Although she was primarily a children's author, the quality and depth of her writing also appeals to adults. In a 1986 interview she said, "I would claim that my books are for children of all ages, from nine to ninety." Some of her novels were specifically written for adults. Dorothy Canfield Fisher was an educational reformer, social activist, and best-selling American author in the early decades of the twentieth century. She strongly supported women's rights, racial equality, and lifelong education. Eleanor Roosevelt named her one of the ten most influential women in the United States. In addition to bringing the Montessori method of child-rearing to the U.S., she presided over the country's first adult education program and shaped literary tastes by serving as a member of the Book of the Month Club selection committee from 1925 to 1951. Kay Boyle was an American novelist, short story writer, educator, and political activist. She was a Guggenheim Fellows and O. Henry Award winner. Ruth Krauss was an American writer of children's books, including The Carrot Seed, and of theatrical poems for adult readers. Many of her books are still in print. Jewell Parker Rhodes is an American bestselling novelist and educator. 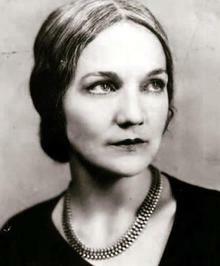 Cornelia Lynde Meigs (1884–1973) was an American writer of fiction and biography for children, teacher of English and writing, historian and critic of children's literature. She won the Newbery Medal for her 1933 biography of Louisa May Alcott, entitled Invincible Louisa. She also wrote three Newbery Honor Books. Elizabeth Jane Coatsworth was an American writer of fiction and poetry for children and adults. She won the 1931 Newbery Medal from the American Library Association award recognizing The Cat Who Went to Heaven as the previous year's "most distinguished contribution to American literature for children." In 1968 she was a highly commended runner-up for the biennial international Hans Christian Andersen Award for children's writers. Barbara Cooney was an American writer and illustrator of 110 children's books, published over sixty years. She received two Caldecott Medals for her work on Chanticleer and the Fox (1958) and Ox-Cart Man (1979), and a National Book Award for Miss Rumphius (1982). Her books have been translated into 10 languages. Margaret Carver Leighton was an American children's writer. Barbara Constance Freeman was an English writer and illustrator of books for children and young adults. Carol Bergé (1928–2006) was an American poet, highly active in the literary, performing and visual arts renaissance of the 1960s and 1970s in New York City. In the 1980s a scandal in academia and her choice to fictionalize it cost her teaching jobs as well as support from the publishing industry. From there she championed antiquing as a profession, taking an extended sabbatical from writing. Margot Ladd Tomes was an American artist and illustrator of children's books. Two books that she illustrated were cited by The New York Times as one of the best children's books of the year, Jack and the Wonder Beans in 1977 and If There Were Dreams to Sell in 1984. Joe Krush and Beth Krush were an American husband-and-wife team of illustrators who worked primarily on children's books. They may be known best for the U.S. editions of all five Borrowers books by Mary Norton, published by Harcourt 1953–1961 and 1982, a series inaugurated very early in their careers. Toni Lopopolo is a literary agent whose book publishing career began in 1970 in the publicity department of Bantam Books, where she helped publicize authors such as Philip Roth, Barbara Cartland, Isaac Asimov and Louis L'Amour. Barbara Reid is an award-winning Canadian illustrator and author of children's books. She has been called "one of Canada's major literary figures". 1 2 3 4 "Margot Benary-Isbert Papers". de Grummond Children's Literature Collection. University of Southern Mississippi. June 2001. Retrieved 2013-06-24. With Biographical Note. ↑ Gale Literary Databases. "Margot Benary-Isbert." Contemporary Authors. October 28, 2003; July 11, 2005.